Although we don’t always get the best summer weather in Britain it’s important to keep your car prepared for those short but sweet heat-waves. Whether you’re going on a family camping trip or just going on a country drive we’ve compiled this list of cheap and simple things you can do to make sure your car is ready for anything! During the summer months your oil levels can start to lower dramatically. 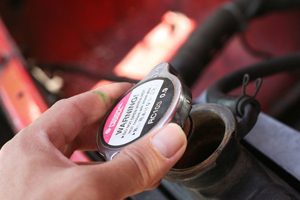 It’s important to check your oil levels before any long drives or at least once a month. In the past it was advisable to check your oil once a week however cars these days are a lot more efficient and are less likely to lose or waste as much oil. 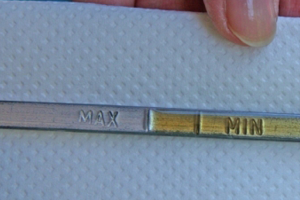 To do so find your engine’s dipstick, pull it out and wipe it clean with a cloth or kitchen roll. Push the dipstick fully into it’s holder and remove again. You should be able to see the oil level, if the oil is between the two guide marks you don’t need to top up the oil, but if it’s below the bottom mark you should purchase the correct oil for your engine and top it up. When topping up the oil add small amounts and continue to check the level, overfilling can be harmful to your engine. Ensure that your car hasn’t been driven for a good few hours before you start this maintenance. The radiator contains boiling hot liquid and if you attempt to open it while it’s still hot you risk seriously injuring yourself. Once cool push down and twist the cap of the radiator, ideally using a cool damp rag just to make sure you don’t get burned. Once the cap has been removed you can easily top the radiator up with either radiator fluid or water, given how cold it can get in winter we recommend using radiator fluid, which has a higher boiling point and a lower freezing point than water. Once full simply put the cap back on, ensuring it is secure. Before any long drive it’s worth checking or adjusting the inflation of your tyres. 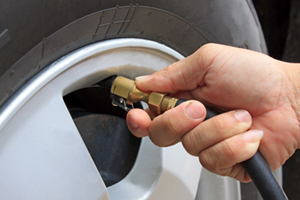 If you’re carrying a heavier load than normal it might be necessary to inflate your tyres further. Check your car’s manual for recommended inflation pressures. To find an air compressor visit your local petrol station and use theirs or you could purchase your own air compressor, they’re surprisingly cheap these days and can be powered using the cigarette lighter in your car, meaning you can top up your tyres anywhere. 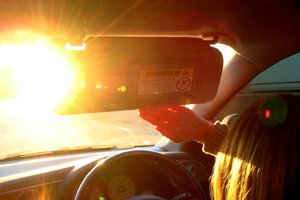 Windscreen glare can be very dangerous in the summer time, especially on long drives. Glare becomes a lot worse when your windscreen is dirty and, although topping up your wash bottle can help, sometimes you’ll need to replace your windscreen wipers. This isn’t a very difficult job and it can make a huge difference to how clear your windscreen is. Some car part shops now offer free or reduced price fitting on things like windscreen wipers and bulbs. These simple and cheap things will help make sure your car is safe to drive during the summer and even extend the life of your vehicle.